Now the series covers almost 2600 years of history beginning in 1997 in Illinois (see timeline at end of post), I decided it was time to read the series once again, chronologically. Although the Shannara series actually begins with The Word & Void Novels, I decided not to read those as they are contemporary fantasy and that is not a genre I really like (I reserve the right to change my mind). I did read a detailed synopsis of these novels before embarking on The Genesis of Shannara post apocalyptic beginning of Shannara which takes place around the year 2070 in/around Washington state. Probably the most interesting question of the series is how the Northwest US/Southwest Canada becomes the world of Shannara. Speculation abounds on forums with people using Google Earth to try and find the hidden valley from Genesis of Shannara. Regardless, I am looking forward seeing the transition happen even if I do not know specifically where it is on a map today. Will I find out where Paranor (or the Four Lands) ends up related to the valley that Hawk led the people after the apocalypse? I don’t know as yet. Is the start of the Shannara line actually the union of the Knight of the Word Logan Tom and the elf Simralin? What happens to Hawk when he returns to the valley? I have so many questions after reading the Genesis of Shannara & the Legends of Shannara. Will there be more coming after The Dark Legacy of Shannara? The biggest gap in the history is between Legends of Shannara and First King of Shannara (about 1000 yrs). That would seem a likely spot if Terry Brooks continues. Graphing a timeline shows the pre-original series timeline is wide open for more. I can’t wait to finish and hope for more! 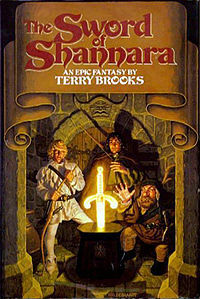 After reading The Legends of Shannara, there is no return of the Hawk even though his return is discussed quite a bit. 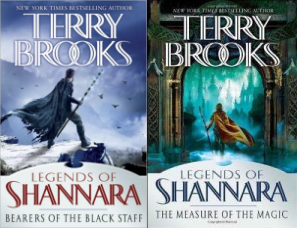 What is missing between these novels and The First King of Shannara is the founding of the four lands, the first war of the races, the founding of The Druids and the building of Paranor. This era is begging for a series of books or two. Not sure why Terry Brooks has focused recently on the time at the end of the series in the future.